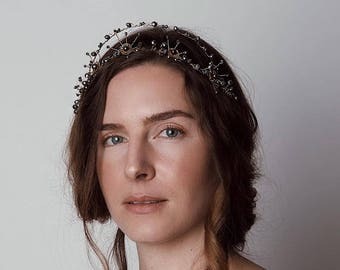 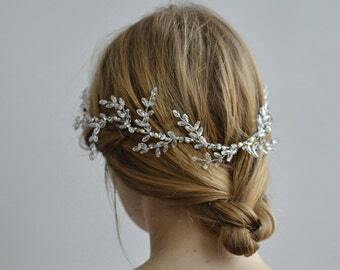 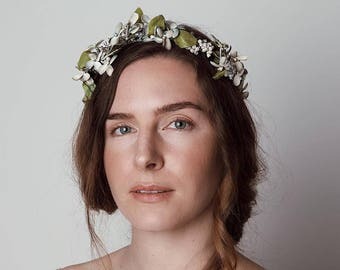 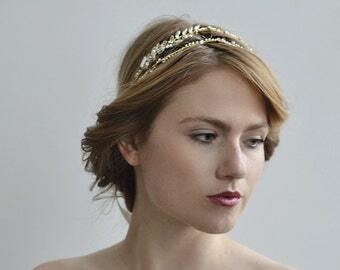 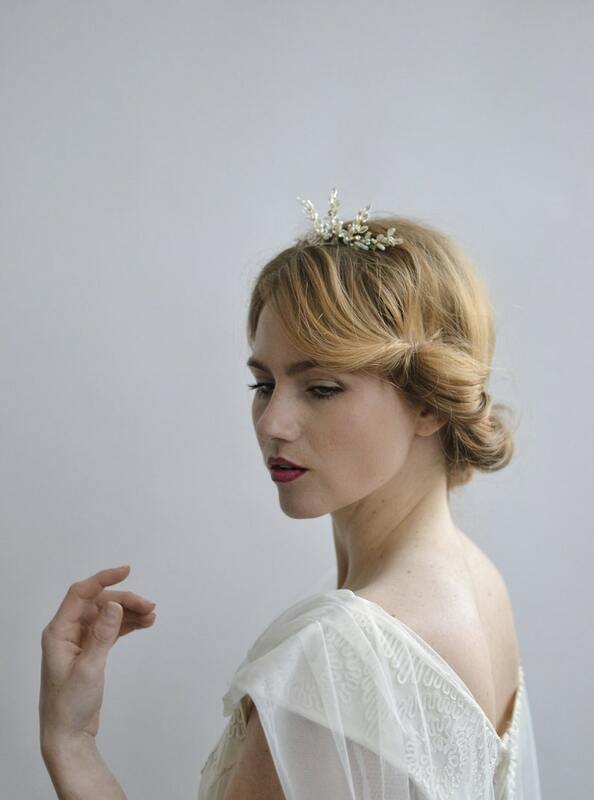 The Lady Pearla Tiara is hand wrapped in gold plated wire using raw freshwater pearls, Swarovski stones and glass beads secured to a gold plated hair comb. 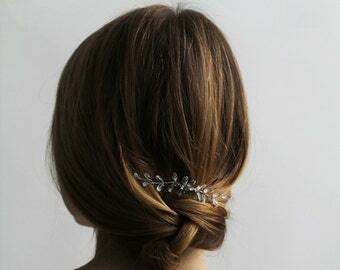 This delicate and beautiful tiara is the perfect accent to your bridal up-do for reception parties or for the big day of saying "I-do". 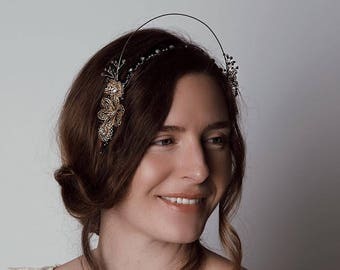 For the ceremony pair this piece with a vintage inspired veil and then wear solo for the reception party to make a dazzling statement.